Start using Kono for free today! 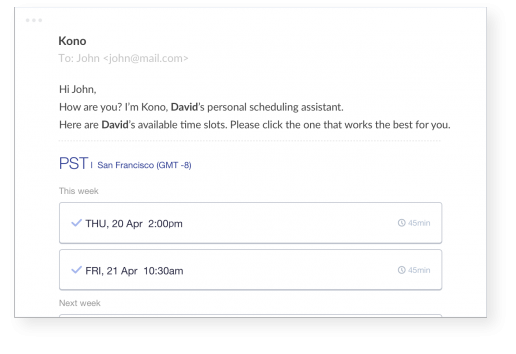 Let your meeting guests to talk with Kono! Kono provides seamless interaction between communication tools and internal calendars, meeting booking systems and guest concierge systems. Make your team productive by hiring Kono.